SI.com's Rob Mahoney looks at the top 15 big men to hit free agency this summer. The best defensive big available also happens to be a wizard of the high and low posts. 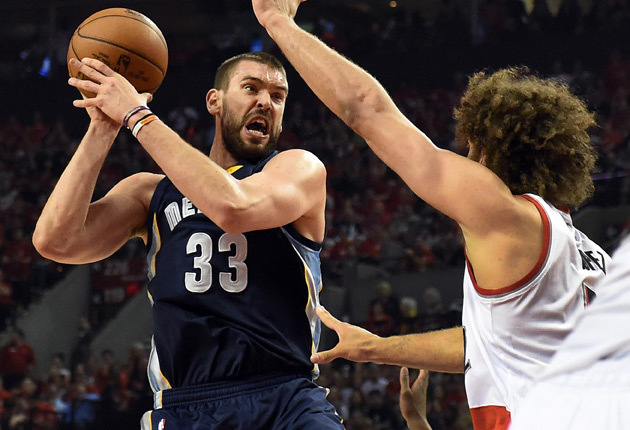 Tough as it is to extricate Gasol from Memphis' grind-it-out style, his game is suited for any half-court system. His repertoire from the block speaks for itself. Simple characterizations of the Grizzlies offense, however, often miss out on the other pick-and-roll or dribble hand-off sequences that Gasol helps to make possible. He's an outstanding read-and-react player at a position where those skills are all but essential. An aware, multi-talented big is the key to working over a defense in rotation. Gasol can contribute to that kind of quick response pattern just as he can facilitate from the elbow or power in points from the low block. Wide interest in Aldridge, who served as the fulcrum of Portland's offense and a crucial piece of its defense, is hardly a surprise. The 29-year-old forward walks the line between old-school post appeal (he operates from that spot in much higher usage than Gasol) and new-school potential, as some franchises undoubtedly have plans to stretch his mid-range game into an even more consistent presence beyond the arc. At worst he's a funnel for offense. Even when nothing else seems to be working, Aldridge can catch at either the top of the key or the left block and create some bit of workable offense over the arms of a defender. To manufacture those bits of offense is nice, but Aldridge really shines when allowed to take his time, draw double teams, and kick out to teammates who know where to find the open man. Cerebral players will thrive around Aldridge, as will those who can fall into more efficient roles as a result of his operations and those whose defensive letdowns might be covered by Aldridge's help in rotation. Rather than bail on Love after a down season in a weird fit, call to mind just how terrific he was in the four prior years in Minnesota. Clearly his circumstances in Cleveland required an adjustment that Love wasn't ready for. He never seemed to strike the perfect balance between spotting up and working inside, and on a broader level never seemed comfortable with his new life without the ball in his hands. This wasn't just a matter of Love being thrust into the spotlight. He was stripped of all the context he knew and the style he had come to play in the adjustment to a more static Cavaliers offense. Love means one thing to Cleveland and another entirely to a team that would ask more of him. Even still, Love's fits and starts helped the Cavs to tremendous offensive efficiency whenever he was on the floor. His talent alone—in conjunction with LeBron James and Kyrie Irving—helped to distort opposing defenses and force compromises. Love is, at minimum, that player. In any other setting (including one of extended continuity in Cleveland), he could be so much more. The words "max contract" call to mind a very specific kind of player: One bound for a conventional stardom of lofty scoring averages and self-propelled shot creation. Draymond Green is not that. Yet when it comes time for the Warriors to put a price on his contributions during his restricted free agency, they're likely to max out Green all the same. ​This is so because of the rarity in Green's skill set. Only a select class of basketball players can defend as he does. Green spends some time in most every game guarding opponents of all five positions; though he starts at power forward, Green logs time as the Warriors' small-ball center and switches readily to perimeter players. His amorphous assignment gives shape to how Golden State defends. Replacing that quality on command would prove difficult if not impossible. Accounting for the fact that Green can also handle the ball, work as a secondary playmaker, and shoot from range only crystallizes his exceptional value. Players are paid the max because their collection of skills are in short supply. Green deserves it because his singular blend is otherwise nonexistent. 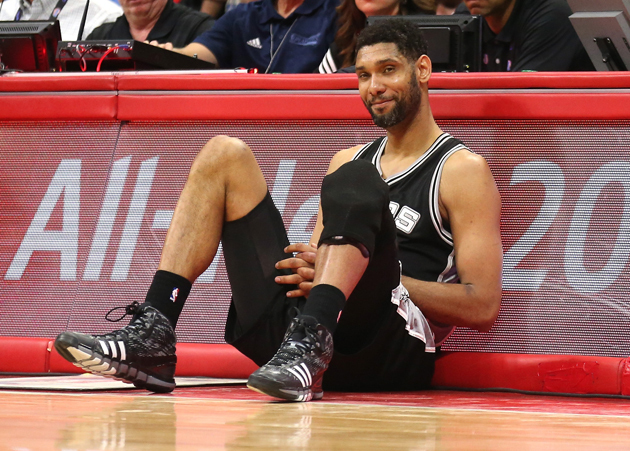 Duncan, not unlike LeBron James, is a free agent only in the technical sense. He will be back in San Antonio and, if this coming season is anything like last, he will again be great. The 26-year-old shot-ender will be trading in the max market exclusively, save if he starts feeling generous. The very idea of an athletic 7-footer who rebounds and blocks shots as Jordan does would be enough for owners around the league to open their checkbooks. To have seen Jordan in action—and, in particular, the way he intimidates opposing ball handlers—has teams begging just to get a meeting. It all makes complete sense. Yet what drops Jordan to sixth in these rankings are the little wrinkles in his game that have yet to be fully resolved. No shot-blocker in the league jumps like Jordan, but no elite defender jumps on pump fakes quite as often. There are few players of Jordan's size who can cover ground like he does, and yet there are times where he's caught completely out of position. Jordan already does a fine job defensively and can work off of put-backs and playmakers to contribute offensively. It's just important to remember that he's a work in progress in areas where refinement can't be taken for granted. A welcome free agent for any team looking to play a fluid offensive style. The more the ball moves, the better Millsap becomes. He's quick enough to attack opposing bigs off the dribble and finds even more opportunity to do so when the ball is humming. Even if it doesn't come his way, the fact that Millsap is a credible threat from three-point range tends to tug at the seams in an opponent's coverage. Millsap's quick feet and reflexes serve him just as well defensively. Among bigs, only Philadelphia's Nerlens Noel posted a higher steal-rate last season; Millsap maneuvers to body up his opponent but keeps his hands active, constantly looking for opportunities to poke away a live dribble or get a finger or two in the passing lanes. His play is proof of the value an agile big can have without protecting the rim. So long as a player can cover ground and keep closely involved in enough plays, their overall defensive impact can trend to the positive. The warning label on Chandler reads the same as it did when he last entered free agency in 2011: Beware nagging injuries. In addition to those games that Chandler tends to lose over the course of the season, his play has been shaped in each of the last two seasons by ailments that lingered long after his return. Chandler is a terrific player when his body allows him to be explosive—an expert in defensive positioning, a powerful screener, and one of the top roll men in the league. Lasting pain and discomfort, though, can make it difficult for Chandler to dial up his lift and physicality to their most effective levels. Any investment in Chandler would likely stretch beyond his 36th birthday. Committing significant salary to an athletically empowered center at that stage in his career is, at best, risky. Regardless, Chandler could still be well worth his salary to the right team with the right competitive timeframe. Accepting the hazards of his health is just part of the package. Like Chandler, understanding Lopez's free agent value is contingent on understanding his injury history. Where the two differ is in how much trouble Lopez has had with his feet and ankles—common problem areas for players of Lopez's size. It's possible that he ends up working through some lower body injury or another throughout much of his career, and whether a franchise deems that prospect worthwhile likely depends on their roster makeup and medical staff. Those that feel adequately equipped for the task could land a hell of a player. Lopez's low-post reputation makes sense, though in recent years the Nets have also used him as a frequent short-roll option. Lopez doesn't rumble down the lane fast enough to finish right at the rim with authority, but his in-between game has become a nice, contributing piece to a broader offense. Lopez also does a good job of using those rolls to get deep position for a quick hook shot, generating the value of a post-up out of more fluid action. Brooklyn has, historically, been able to build a successful offense and a workable defense around Lopez. Another team could do so as well, provided they're willing to stomach the injury risks. Bigs with interior-driven offensive games lacking in the ability to protect the rim have become the puzzle of the modern NBA. The distinction between power forward and center is largely arbitrary, provided that the skill sets of the two complement one and provide for some fundamental needs. Monroe, though effective in many ways, makes it difficult to meet those thresholds. He needs to be allowed to work inside on offense to be most effective but has neither the speed to guard longer bigs nor the particular skills to defend the basket. This means that an ideal Monroe counterpart would be able to work from the outside on offense and the inside on defense—an intersection of skills rare even in the new-wave NBA. All of which means that while what Monroe offers as a post scorer, passer, and rebounder might be valuable, to sign him is also to accept certain complications of fit. He helped his case last season by improving his defensive positioning under Stan Van Gundy, though the same basic quandary remains: What kind of center or power forward could form a championship-worthy tandem with Monroe, and how difficult would such a player be to acquire? Thompson, who shares an agent with LeBron James, might have been signed at a significant raise this summer regardless of his play this season. Still, few players (if any) did more in the playoffs to justify their upcoming deals. 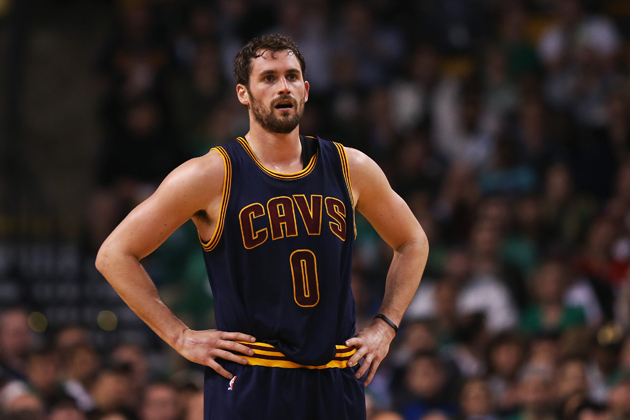 It was because of Thompson that the Cavaliers took the loss of an All-NBA forward in stride. His relentlessness on the offensive glass made for a steadfast weapon. Thompson's defensive versatility from guarding out on the perimeter to helping defend the rim further layered his value to the team. That Thompson also has nice, easy touch on his impromptu hook shots rounds out a solid, all-around profile for a player hitting the market for the first time. Lopez's last contract paid him $15.3 million over three years. His new one will likely near that amount—or at least broach eight figures—in a single season. Even after the Warriors won it all by running a heady defense sans rim protection, the security that players like Lopez can offer remains quite valuable. Think of how Timofey Mozgov was able to disrupt the play of Draymond Green early in the NBA Finals; walling off the basket takes away options, which can then make otherwise capable players overthink their course of alternative action. Lopez offers a similar presence to Mozgov in terms of interior defense and offensive rebounding, though without the same level of post fluency or defensive rebounding volume. Young's effort level during his partial season in Minnesota wasn't exactly heartening, though upon his arrival in Brooklyn, the 27-year-old forward seemed to perk back up. A committed Young will play solid defense and net his team 14 points a night without a single favorable play call. He feasts, instead, on broken plays and offensive rebounds, the lot of which translate to odd runners and half-hooks from high in the lane or along the baseline. Effectively, Young makes his own offense without the costs typical of one-on-one basketball. By salvaging those possessions that otherwise would result in a forced jumper or opponent's rebound, Young turns scrapping into a direct value add. The inside-out balance of West's game is mostly gone, replaced instead by a clear mid-range priority. Even still, West is quite effective in the pick-and-pop game, where his shooting touch and passing ability help to create and exploit space within the opposing defense. West's defense hasn't aged quite so well, though. Defense at the power forward spot—particularly in the current NBA landscape—demands a mobility that West just doesn't have anymore, which in the wrong matchup can create problems. There's enough experience and savvy in West's coverage to make up for some of what he can't handle laterally, and his communication within those sequences and professionalism in his broader process help his team beyond those flaws. Chaos incarnate. Smith was an All-Star once, but now has settled comfortably into a role as the league's preeminent anarchist. In one playoff game, his audacious passing and trouble in finding open spots might render him unplayable. In another, he could well hit four three-pointers to trigger one of the most improbable comebacks in NBA history. Nothing about Smith seems to make sense, save for the fact that he has the skill, touch, and vision to do anything. That he's capable of it makes him enticing. That he doesn't always deliver as expected makes him difficult to rely on for teams that, unlike the Rockets last season, didn't have clear alternatives at the position. Best of the rest: Amir Johnson, Enes Kanter (R), Brandan Wright, Omer Asik, Kosta Koufos, Kyle O’Quinn, Marreese Speights (T), Bismack Biyombo (R), Darrell Arthur, Kevin Garnett.